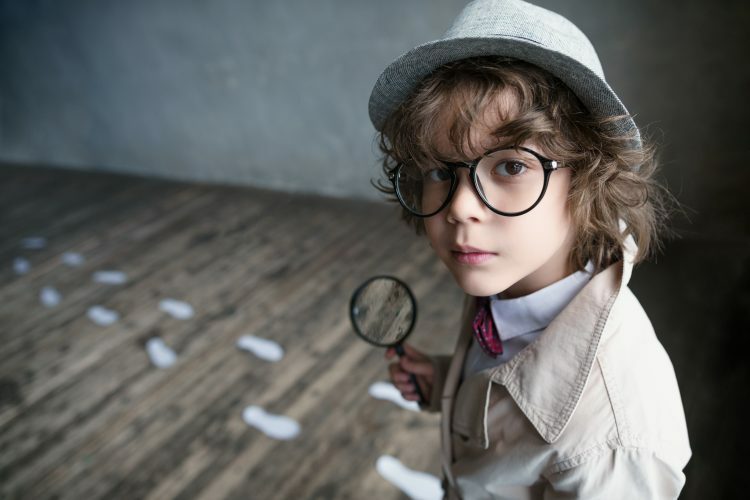 From clever quips and brilliant observations to a barrage of questions that catch you off guard, curiosity in children can come dressed in many fascinating guises. Some of them might leave you agape with wonder while some test your patience and leave you red-faced. As tempting as it might be to slither out of your little one’s trick questions with a quick dismissive answer, it’s crucial to find the patience to nurture the innate curiosity in children and not thwart it in the name of discipline. This conclusion stemmed from information collated by researchers who closely monitored thousands of kids from their birth in 2001 to 2018 when the research was finalised. A major takeaway from the study is that higher curiosity is associated with higher achievement. How is this cycle of learning formed? When a child is curious about something, he goes on a journey of discovery and exploration to satiate his curiosity. For instance, assume a girl who has been learning about flowers and plants, finds a four-leaf clover in the field. This rare discovery will certainly fill her with joy and pleasure. And based on the positive feeling, she will be willing to visit the field another time to re-enact the scene. Every time, she goes to the field, she will find out that getting a four-leaf clover is not as easy as it had been the first time. This realisation will lead to questions like “Why are three-leaf clovers more common?” “Where do four-leaf clovers grow?” What she learns further gives her new knowledge and increases her mastery of flowers and plants. In summary, the cycle of learning begins with curiosity; this goes on to become discovery; discovery leads to pleasure; pleasure becomes repetition, and repetition culminates in mastery. Here are some methods that are helpful in nurturing curiosity in children. Challenging as it is to find answers to a constant stream of questions from your children, answering their one million and one questions is a great way to encourage their curiosity. However, answers such as “That’s the way it is” or its other variants can be counterproductive. For one, it further leaves the kids more confused than before they asked the question. For another, your children will be hesitant to be curious about their environment since you obviously don’t know the answers. In essence, always give a simple answer. And if you don’t have an answer, the best way out is – admitting it. This gesture alone presents an opportunity for both of you to figure the answers yourselves. Another way to stimulate children’s curiosity is by asking them open-ended questions. For instance, when your kid gets back from school, instead of asking, “Did you have fun in school today?” ask “What did you do school in today?” The first question merely requires a “yes” or “no” answer which can be given without a second thought. The second question requires your child to actually stop, think about what happened in school, and recount it to you. This simple exercise is a sure method of encouraging kids to exercise their thinking skills, which will be a great asset to them as adults. It also reveals your child’s thought process to you and makes them see how genuinely you care for them. Making reading a part of your children’s nature is another method of nurturing their curiosity. Books are an inexhaustible resource that can captivate the interest of your children and nurture their creative imaginations. Plan a fun day trip with your kids to your local library or bookstore and allow them to pick whatever books they fancy. Studies show that exposure to books at an early age boosts the numeracy and literacy skills in children. Toys play a crucial role in children’s development and should be incorporated into their activities as much as possible. But don’t reach for the typical toys that are meant to be used in one specific way. Gift your kids with toys that are designed for several uses. Examples of such toys include little pots, rakes, shovels, sand, boxes etc. While gifting the toy, don’t instruct your kids on how the material should be used. Let them creatively engage their imaginations and fashion out uses for these open-ended toys. Travelling is one exciting way to expose your child to new worlds, culture, and experiences. Once in a while, set down the internet and books, plan a trip for the whole family and let your child see firsthand the manners and patterns of cultures vastly different from the one she is used to. You are your kids’ greatest role model. While they are still young, impressionable, and think you are the coolest person in the world, seize the opportunity to behave in a way that promotes the idea of curiosity. You can do this by turning the most mundane household chores into one filled with learning for both of you. For instance, while stocking the dishwasher after a meal, you could say to your child, “I wonder how this washer keeps the dishes clean?” or “Where do you think the water in the dishwasher comes from?” Don’t answer the questions directly if your child shoots it back at you. Instead, both of you should brainstorm on possible answers for the scenarios given. Apart from being fun, it creates a healthy parent-child bond. Curiosity is one trait that should be relentlessly nurtured in kids. The more inquisitive a child gets, the more they are willing to learn, discover, and explore. As long as you keep the fire of curiosity alive in them, you can be sure that they will turn out to be lifelong learners who are brave enough to take the paths less trodden.